These species do not breed in the Río Embudo area. They arrive in the fall, spend the winter and then leave in the spring. 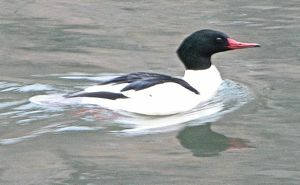 The ducks, Bald Eagle and Goldfinch breed further north. 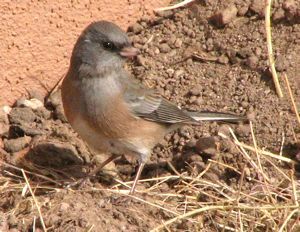 The others are mostly altitudinal migrants that breed in New Mexico, but higher up in the mountains. Cornell Opens Cornell Lab of Ornithology's All About Birds site's species account in a new browser window. This site offers detailed information on every species including sound recordings. 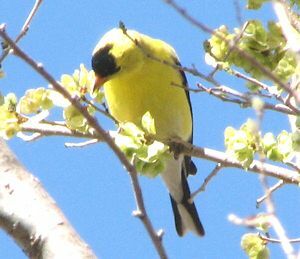 USGS Opens the USGS Patuxent Bird Identification InfoCenter species account in a new browser window. Includes BBS and CBC maps, ID Tips and Taxonomy for each species. Image Search Shows the results of a Google image search for the species. All Photographs by Robert Templeton unless otherwise noted. Copyright Information. 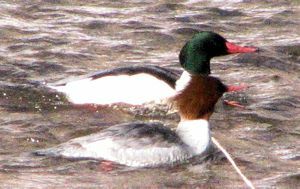 Image Search Females (upper) have brown heads. 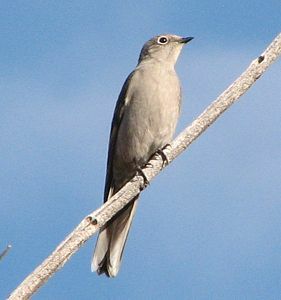 Male (below) has dark head with distinctive white patch between the bill and the eye. Image Search Distinctive bill shape and color. Image Search Adult: Distinctive white head and tail. 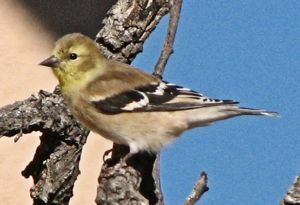 Juveniles have white in wings near body. Sometimes head brown and tail with brown band on trailing edge. 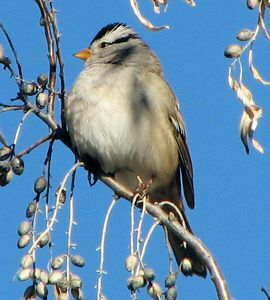 Image Search This bird is most often observed sitting in the tops of trees sounding a repeated, high, slow whistle. Gray all over with white on sides of tail. 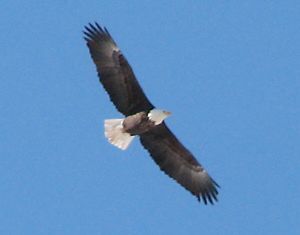 Fluttery in flight, with cream-colored bands running the length of each wing on the underside. Image Search Adult (Upper Photo): Distinctive black and white stripes on head. Light colored bill. Clear breast and belly. Juvenile (Lower Photo): Head stripes brown and gray. 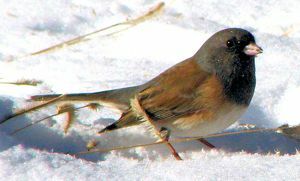 Image Search In winter, there are 5 sub-species of Dark-eyed Junco in our area. Many have a full black or gray hood. All have a dark eye set in dark plumage. Almost always in flocks of 10-20 individuals. 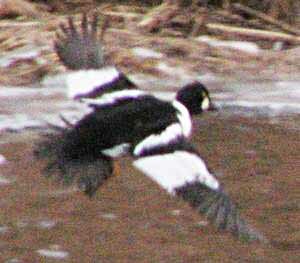 Identifiable by a very "dry" sounding "tck-tck" and by white showing on the sides of the tail, especially in flight. 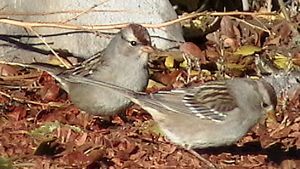 Do a an Image Search (at left) to get an idea of the great variation in the plumage of this species. Copyright 2006-2013 by Rio Embudo Birds.org --- All rights reserved.